The UK is in the midst of a heatwave and temperatures will only get higher as the GUKPT prepares for another red hot week of poker at its ever popular London leg. Following the scorching success of GUKPT Reading, the tour is heading to the capital for its next £100,000 GUKPT Main Event. Last year George Alexander conquered a field of 449 taking home the much sought after trophy and £50,000 in first place prize money. This year we anticipate welcoming a very healthy crowd to London’s iconic The Poker Room located above Grosvenor Casino Victoria, all with the hopes of following in Alexander’s footsteps and taking home the coveted 2018 title. The week-long festival kicks off this Sunday with action continuing throughout the week with the £100,000 Guaranteed / £500+60 buy-in Main Event Day 1A taking place on Thursday. A big turn out for the £10,000 GUKPT Mini Main starting this Sunday is also on the cards. This popular event offers a favourable 2 day structure with an affordable buy-in of £100+15. 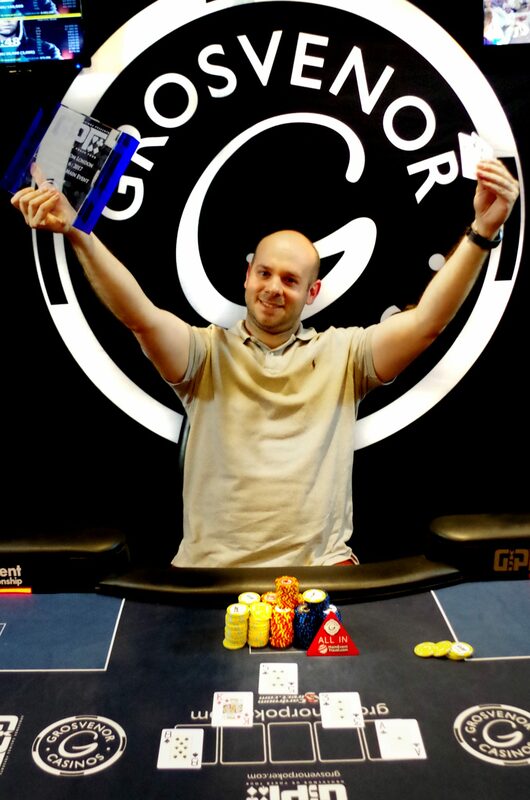 As ever Grosvenor Casinos offers its customers ample opportunities to win their seat to both the £100,000 GUKPT Main and £10,000 GUKPT Mini Main for a fraction of the cost either on www.Grosvenorpoker.com or at The Poker Room, London.